Administrative Law Judge Sabrina Kong, Office of Administrative Hearings (OAH), State of California, heard this matter in Bakersfield, California, on October 29 and 30, 2013 and November 4, 2013. Lori Stewart, a non-attorney, friend of the family, represented Student. Mother attended the hearing on all days. Darren J. Bogie, attorney at law, represented the District. Crysta Silver Hill, District’s Director of Special Education, attended the hearing on all days on District’s behalf. 1 Decision corrected from the original December 11, 2013 version, to correct an erroneous typographical error. Parent, on behalf of Student, filed the Due Process Hearing and Mediation Request on August 20, 2013. OAH granted a continuance on October 8, 2013. At the hearing, the ALJ received sworn testimony and documentary evidence. At the close of the hearing on November 4, 2013, the ALJ granted the parties‟ request for a continuance to file written closing arguments by 11:00 a.m. on November 18, 2013. The parties filed their written closing arguments on November 18, 2013, at which time the record was closed and the matter was submitted. 1. Did the District deprive Student of a free appropriate public education (FAPE) by not meeting its child find obligations in October 2011 when Student was failing to progress in the general education setting? 2. Did the District deprive Student of a FAPE when it failed to refer Student for special education assessment following Parent’s request in October 2011? 3. Did the District deprive Student of a FAPE since October 2011, by preventing Parent from participating meaningfully in the IEP decision making process? 4. Did the District deprive Student of a FAPE by making a unilateral decision, without conducting an Individualized Education Program (IEP) team meeting with Parent, as to Student’s placement at the commencement of school year 2013-2014? Student contends that since October 2011 District violated its child find obligations, deprived Student of a FAPE when it failed to refer Student for special education assessment following Mother’s verbal request, and prevented Mother from participating meaningfully in the IEP decision making process. Further, Student contends that District unilaterally placed Student at the commencement of the 2013-2014 school year without conducting an IEP team meeting or obtaining parental consent. District contends that it acted reasonably in providing Student with its research-based general education Response to Instruction/Intervention program (RTI) since August 2011, in advancing Student to higher levels of intervention, and in waiting to see Student’s response to further RTI before assessing Student’s special education needs. District also contends that Mother never requested a special education assessment for Student until November 1, 2012, at which time District promptly assessed Student, provided Mother with meaningful parental participation in the IEP decision making process, and properly placed Student in accordance with the IEP approved by Mother for the 2013-2014 school year. As to Issue One, District violated its child find responsibilities to Student, and should have assessed Student for special education, after six months of Student’s minimal response to District’s RTI. Student did not prevail on Issue Two because the evidence was not persuasive that Mother verbally requested a special education assessment at any time before November 1, 2012. As to Issue Three, the evidence showed that District provided meaningful parental participation in the decision-making process at all times after the special education assessments were requested. Finally, as to Issue Four, District properly placed Student at the commencement of the 2013-2014 school year pursuant to a signed IEP. The few hours of delay Student experienced in the re-enrollment process because of proof of residency issues was not substantial enough to have denied Student a FAPE. As a remedy for Issue One, District’s violation of child find responsibilities, Student is awarded 72 hours of one-to-one tutoring as compensatory education. 1. Student is a nine-year-old-girl who was found eligible for special education by District on February 14, 2013, under the primary category of specific learning disability (SLD) and a secondary category of speech or language impairment (S/L). 2. Student was properly enrolled within District at all relevant times. During the 2011-2012 school year, Student lived within the District’s boundaries. When Mother moved out of District in September 2012, Student remained enrolled in District through an inter-district transfer (Transfer) for the 2012-2013 school year. Mother moved back within District boundaries in the summer of 2013 and Student was re-enrolled with the District for the 2013-2014 school year which started on August 19, 2013. 3. In late September 2011, Lori Hardy, Student’s second grade teacher, requested a meeting with Mother where they discussed Student’s low academic scores and performance. Student scored in the “well below average” skill level of the reading curriculum measurement known as the AIMSweb. AIMSweb is a benchmark assessment in areas of early literacy, numeracy, math, reading, and writing administered by general education teachers to all students from kindergarten through eighth grade in the District. As a result, Ms. Hardy provided Student with accommodations in the general education class since the beginning of the school year, which included extra classroom assistance by Ms. Hardy, modification of assignments, extra time to perform work, and preferential seating in the class. Ms. Hardy found that those accommodations were only “effective to a point.” Mother met again with Ms. Hardy during Rosedale North Elementary School’s (Rosedale) first official parent/teacher conference in October 2011. They discussed Student’s failing grades, and Mother expressed concerns with Student’s inability to identify grade level sight words, and her confusion with math concepts of addition and subtraction. Mother also expressed concerns with Student’s ability to progress academically. Student’s performance was discussed by Rosedale’s data team starting in the first quarter of the 2011-2012 school year because she was one of the students whose performance fell below the AIMSweb benchmark. 4. Mother met with Ms. Hardy again on February 7, 2012, before Rosedale’s official parent/teacher conference in the spring of 2012 and at the spring 2012 official parent/teacher conference. They discussed Mother’s continued concerns with Student’s low academic performance. On April 25, 2012, Ms. Hardy recommended that Student receive data team services because Student still showed inadequate growth in reading based on her reading intervention scores and her report card grades. Student began receiving lower levels of District’s RTI when school started in August 2011 even though she was not formally referred to the data team by Ms. Hardy until April 2012. 5. Student’s reading intervention scores were consistently low from the beginning of the 2011-2012 school year through May 2012. In mid-October 2011, Rosedale provided Student with on-site reading intervention services to ameliorate her reading deficiencies. Student worked with Lorie Monaco, a credentialed tutor in District’s Title 1 program for general education students, for approximately 70 minutes per day in a small group of general education students whose reading skills were also below grade level. Ms. Monaco worked with Student for a few months charting Student’s progress by recording the number of words she read correctly and the number of errors she made from reading a grade level story. The baseline goal for correct number of words read was 87. Student’s baseline for correct words read was established from her reading 11 words correct with four errors. Thereafter, weekly data showed that Student’s improvements were inconsistent and minimal. For example on October 27, 2011 Student read 18 words correctly with six errors. On November 3, 2011, Student read 11 words correctly but had increased errors to eight. On November 10, 2011, Student improved with 23 words read correctly with seven errors. Then the following week Student regressed to read nine words correctly with 11 errors. She then improved slightly over the next few weeks, but by February 9, 2012, dropped back to 14 words read correctly with eight errors. This pattern persisted to the last entry of the school year, May 17, 2012, when Students read 19 words correctly with seven errors—still nowhere near the goal of reading 87 words correctly. 6. Student’s report card grades confirmed inadequate growth in reading all four quarters of the 2011-2012 school year. Student received the same “minus” grade in reading, which means “below grade level,” all four quarters of the 2011-2012 school year. Specifically, Student’s word analysis, fluency, systematic vocabulary development, and reading comprehension grades were consistently “six,” which meant “not meeting grade level standards,” and “ten,” which signifies “low test scores.” Student’s math grades were the same at the end of the fourth quarter as at the beginning of the first quarter, a “check minus,” which meant “below grade level, but progressing.” Specifically, Student’s number sense were consistently “three” and “ten” all four quarters, which meant “needs improvement” and “low test scores,” respectively. Student’s statistics, data analysis, and probability math skills were also “needs improvement” and “low test scores” throughout the 2011-2012 school year. Student’s algebra and functional skills also needed improvement at the end of the fourth quarter. Student’s two areas of relative strength in math were in measurement and geometry where Student received a “two,” which means “satisfactory,” in the only quarter it was measured, the fourth quarter. Student also received a “five” in math reasoning, which meant “showing improvement,” in quarters one, three, and four, with the exception of the second quarter where she received a “three,” which meant “needs improvement.” Further, Student’s language arts grade was a “minus” in the first quarter, and “check minus,” in the second and third quarters and a “check” in the fourth quarter which meant satisfactory. Student did well in science, history, physical education, art, music, and handwriting and exhibited good citizenship and work habits. 7. In her May 2, 2012 e-mail to Ms. Hardy, Mother requested that Student be retained in the second grade for the 2012-2013 school year. On May 21, 2012, Rosedale’s data team, which consisted of Wendy Camara, Rosedale’s principal, Sheri Geissel, the reading intervention coordinator, Haley Jameson, the school psychologist, and Ms. Hardy, met to review Student’s progress and found that although she was making progress with Rosedale’s RTI services, her reading level was below grade level. Rosedale’s data team meets approximately three to four times a year to discuss all Rosedale students who perform below the AIMSweb benchmarks, and did not meet to discuss any particular student individually. When the data team formally convened to discuss the needs of all of Rosedale’s underperforming students, it concluded that Student should be assessed for special education. The May 21, 2012 data team notes stated, “Data Team met and decided to move forward with special ed testing in the fall. No retention. [Credential Teacher Carrie] Riel will start intervention in the fall of [Student’s] third grade year.” Ms. Camara opined that the May 21, 2012 entry was an incomplete note, and a complete note would have conveyed that the data team felt it was unnecessary to assess Student immediately, and that Student should be tested for special education in the fall of 2012 if Student was not responding to further RTI. By May 23, 2012, Ms. Hardy informed Mother that the data team decided after reviewing Student’s reading and other academic scores and data, that Student would move to the third grade where Student would be monitored on a weekly basis by Carrie Riel, who taught Tier Three RTI reading curriculum. 8. Ms. Hardy worked as a teacher for the District for approximately 16 years, and had not seen a District student referred directly for special education assessment without going through the three RTI tiers. 9. Ms. Hardy and Ms. Jameson described District’s RTI as a three tiered intervention program for the general education population. Tier One is the lowest level of intervention and approximately 85 percent of Rosedale’s students receive some form of its services. Tier Two is the intermediate level of intervention targeted to a specific area of need which is more intensive, has fewer students than tier one, and usually involves an aide trained in the RTI curriculum. Tier Three involves the most intensive instruction, and services are usually provided through a credentialed teacher for students who show additional need or make inadequate progress. Further, Rosedale has a student study team (SST)2 that worked with students with behavioral issues, and a data team that worked with students with academic issues. Student did not have any behavioral issues, so only the data team worked with Student. 2 Although Student used the term SST at hearing without differentiating between SST and data team, Student’s references to SST are deemed to refer to the data team because Student did not receive any services from SST because she had no behavioral issues. 10. According to Ms. Hardy, students were usually required to go through all three tiers of the District’s RTI services before being referred for special education services unless a student came from another district with an IEP. In contrast, Ms. Jameson, did not understand District’s RTI program to require students to go through all three RTI tiers, but instead believed students could skip tiers, depending on the student’s individual needs, before being referred to special education. All of District’s personnel who were familiar with Student’s academic performance recalled that Student received all three tiers of the District’s RTI before being evaluated for special education. Mother was not invited to any data team meetings and had no input in determining the RTI services Student received. However, if Mother had wished to participate in the data team meetings, Rosedale would not have prevented Mother from so doing. 11. Ms. Hardy did not notice any apparent speech impediment or motor skill deficiencies in Student during the 2011-2012 school year. 12. All of the meetings Ms. Hardy had with Mother in the 2011-2012 school year involved their concerns over Student’s lack of academic progress. However, Ms. Hardy did not recall Mother ever requesting that Student be evaluated for special education. If a parent requested a special education evaluation through her, District protocol required her to inform the principal, who together with the data team, would make a special education referral. If Mother had requested a special education evaluation, Ms. Hardy would have followed protocol and informed Ms. Camara. District protocol required that parental verbal requests for special education be documented in writing; a teacher to whom a parent made a verbal request for special education would assist that parent in placing the request in writing; and the teacher would notify the principal and/or the school psychologist who would decide if a special education referral would be necessary. 13. Tawnya McNamara, Student’s third grade teacher, recalled meeting with the data team at the beginning of the 2012-2013 school year to discuss the RTI level Student was to receive during the 2012-2013 school year, but did not recall the data team discussing referring Student for a special education evaluation. Ms. McNamara remembered that, at the time, Student received reading intervention pull-outs and was progressing toward special education within the different levels of RTI. 14. On November 1, 2012, Mother sent an email to District requesting a special education assessment of Student. Ms. McNamara received a copy of Mother’s November 1, 2012 assessment request, but had not received any verbal requests for a special education evaluation from Mother before November 1, 2012. Ms. McNamara would have brought all special education evaluation requests to the attention of the principal or the school psychologist. Ms. Camara also did not receive any request for special education evaluation regarding Student until the November 1, 2012 email, and she did not recall any discussion with Ms. Hardy regarding Student’s special education needs in the 2011-2012 school year. 15. On November 14, 2012, District provided an assessment plan to Mother which included assessments in academic performance, self-help, social and emotional status, general ability, health, development, vision and hearing, visual and auditory processing, and other areas. District’s assessment plan required Mother’s consent (Consent 1). 16. On November 16, 2012, Mother signed and returned the Consent 1 adding other areas which she would like District to assess including, language and speech, audiological, alternative means/assistive technology (AT), and psycho-educational. 17. After reviewing Mother’s requests for additional areas of assessment and communications with Mother via e-mails dated November 20, 26, 27, and 28, 2012, District sent another assessment plan on December 5, 2012 agreeing to assess Student in S/L and occupational therapy (OT), an additional area of assessment requested by Mother in her November 28, 2012 e-mail to District. District’s second assessment plan also required Mother’s consent (Consent 2). 18. On December 8, 2012, Mother signed and returned Consent 2, and again added AT and psycho-educational as additional areas for assessment. 19. In mid-December of 2012, at the end of the second quarter of the 2012-2013 school year, Ms. McNamara reported Student’s writing score did not meet grade level standards. Student’s language arts writing conventions, and history and social science grades were D’s in both quarters. While Student’s reading improved, it was still below grade level. Student’s reading fluency was very low; she scored 47 words per minute with eight errors when grade level required reading fluency was 115 words per minute. Student also scored seven out of 18 in the language arts test when grade level proficiency was 16 out of 18. She scored 37 percent in a timed mixed review of multiplication facts when grade level proficiency was 85 percent. In the silent independent reading comprehension tests, Student’s reported reading level improved from a 1.6 to 2.6 from the first to the second quarter of 2012-2013 school year, meaning she read at a first grade and six months level and improved to a second grade and six months level at the end of the second quarter. Student’s ability to read at grade level improved, from 1.4 to 2.3, which was still below her third grade level. In the area of accelerated reading, Student showed a slight improvement in accuracy, from 85 percent to 86 percent, but was still below grade level as demonstrated by her receipt of Ds in reading both the first and second quarters of the 2012-2013 school year. Student improved in math as shown from her receipt of a D+ in the first quarter and a C in the second quarter. Based on the above, Ms. McNamara reported to Mother that Student had improved. Student received A’s in physical education and citizenship both quarters. She received a satisfactory grade in art and exhibited satisfactory work habits in both quarters, with the exception of the participation component in which Student received a “needs improvement” grade in the first quarter, and a satisfactory grade in the second quarter. 20. Student took the California Standards Test known as the STAR Student Report (STAR) in the spring of 2012 of the 2011-2012 school year, and the results were available in the early 2012-2013 school year. Student scored 252, in the far below basic range in English language arts and 240, in the below basic range in math. 21. In the fall and winter quarters of the 2012-2013 school year, Student received Tier Three of the reading RTI, the highest level of reading intervention a student could receive without having an IEP. Ms. McNamara concluded that a small group setting and intensified curriculum from an RTI teacher like Ms. Riel, was effective for Student. At the time, Ms. Riel was a special education teacher who also worked on RTI with general education students, including Student, who needed intensified instruction. 22. District’s winter break was approximately two weeks. In January 2013, Mother requested that the District’s assessors contact her before assessments; District provide her with assessors‟ curriculum vitae (CV) before assessments; Mother be allowed to observe the assessments by a two-way mirror; and District videotape the assessments or allow Mother to sit in during the assessments. District responded in writing to Mother regarding her requests. All assessors contacted Mother, with the exception of the S/L pathologist and OT assessor. All assessors’ CVs were provided to Mother. District declined Mother’s requests for observing assessments to preserve the integrity of the assessments. District provided Parent Rights and Procedural Safeguards (Parent Rights) to Mother as an enclosure to District’s December 3, 2012 and January 10, 2013 correspondence regarding assessments. 23. Ms. Jameson worked as a psychologist for the District for approximately three years. On January 30, 2013, Ms. Jameson started her evaluation of Student and prepared a psycho-education evaluation report dated February 8, 2013. Ms. Jameson correctly concluded in her report that Student qualified for special education under the eligibility category of SLD. 24. District’s practice was to follow Education Code section 56333, subdivision (c), and California Code of Regulations, title 5, section 3030, subdivision (j)(4)(C) by using the RTI model as a way to identify a student for special education under the SLD category. District’s RTI consisted of three tiers of intervention. If a student did not make adequate responses to the three tiers of RTI, based on information obtained from the three tiers of RTI, the data team would recommend a student for a special education evaluation. District did not typically use the discrepancy model for identifying a student for special education, but, in Student’s case, Ms. Jameson did evaluate Student under the discrepancy model because Mother requested a psycho-educational evaluation. 25. Under the discrepancy model, Student’s standard cognitive and academic achievement scores were 100 and 80, respectively. Ms. Jameson correctly concluded in her February 8, 2013 report that Student’s scores in reading fluency and comprehension were approaching the significant discrepancy requirements for SLD eligibility, even though under the significant discrepancy model, Student’s score of 20 was 2.5 points short of the requirement of 1.5 standard deviations (or 22.5 points) between the standardized cognitive abilities score and the academic achievement score. However, under the RTI model, Student would qualify for special education under the SLD category if Student did not make sufficient growth despite attempted research-based interventions. 26. Ms. Jameson also concluded in her February 8, 2013 report, that although Student had made progress in reading fluency, she was eligible for special education under the SLD category because Student continued to be below grade level in the area of reading based on interviews, state test results, benchmark assessment scores, and academic assessment results. 27. Jean Tubbs, the S/L pathologist, evaluated Student for speech and language needs and recommended S/L services with a focus on vocabulary and sounding out her “th” words. Janet Rosen, the special education program facilitator and AT specialist evaluated Student for AT and prepared a February 14, 2013 report and concluded that Student did not need AT services. Wendi Wanner, the occupational therapist, evaluated Student for OT and prepared a February 14, 2013 report and a February 18, 2013 supplemental report pursuant to Mother’s request of additional OT assessment. Ms. Wanner did not recommend OT services for Student. 28. On February 14, 2013, the IEP team met for Student’s initial IEP. Mother, Ms. Stewart, another friend, Ms. Riel, Ms. McNamara, Ms. Camara, Ms. Jameson, Ms. Tubbs, Ms. Wanner, Ms. Rosen and Jocelyn Hively, District’s Director of Special Education, all attended the IEP team meeting. At the meeting, Mother expressed concerns regarding the proposed goals that were presented and discussed Student’s deficits. District made modifications and adopted goals pursuant to Mother’s suggestions. Mother’s friend expressed concern regarding Student’s ability to open a water bottle or container and its impact on Student’s ability to open her lunch containers at school. The District continued the IEP meeting to February 26, 2013 to address Mother’s concerns regarding various issues including goals, testing, communications regarding Student’s progress, and Student’s qualification for extended school year services. At the February 26, 2013 IEP team meeting, District accommodated Mother’s request for more time to read the IEP documents before signing by re-convening the meeting on April 18, 2013. Mother initialed that she had been advised of and given a copy of the Parent Rights booklet at all three IEP team meetings. 29. Mother was not concerned about retaining Student in the third grade and did not raise the issue of retention at the IEP team meetings. Mother did not express any concerns at any of the IEP team meetings regarding Student’s eligibility criteria, or contests the validity of any of District’s assessments at any IEP team meetings. At the February 14, 2013 IEP team meeting, Mother expressed concerns with the comprehensiveness of the OT assessment, and expressed her disagreement with the AT assessment. District responded to Mother’s concern regarding the OT assessment by conducting a supplemental OT assessment assessing Mother’s areas of concerns including Student’s ability to twist open a container and ability to pull apart a bag at the top seam. District concluded that Student had no deficiencies in these areas. Mother disagreed with the AT assessment stating that she believed that the AT assessor did not comprehensively assess Student, but merely screened Student to conclude that Student had no AT needs. Mother discussed her disagreement at IEP team meetings regarding the District’s decision not to provide AT to Student. Mother did not request an independent AT evaluation from the District. 30. Mother felt uninvolved in the IEP team meetings because District did not attach her March 13, 2013 e-mail as an enclosure to the IEP documents; the OT and S/L assessors did not contact her before assessing Student per her request; and District failed to provide her with testing protocols and complete copies of reports before the February 14, 2013 IEP team meeting. Mother had sent an email to Ms. Riel on March 13, 2013, asking that the e-mail be attached as an enclosure to the IEP document. While the e-mail itself was not attached, the issues in the e-mail were addressed at the February 14, 2013 IEP team meeting and the substance of the e-mail was summarized in the April 18, 2013 IEP team meeting under the section of “Parent concerns were addressed from previous IEP.” On April 30, 2013, Mother signed the IEP agreeing to Student’s placement in general education 70 percent of the time and for all subjects except reading, and to District’s offer of 90 minutes daily of specialized academic instruction (SAI) in reading and 60 minutes weekly of S/L services. 31. On September 26, 2012, District superintendent, John Mendiburu, signed the Transfer for Student to remain in the District, at Rosedale, for the 2012-2013 school year. Mother was under the mistaken belief that the Transfer was in effect for a calendar year from the date of Dr. Mendiburu’s signature despite the Transfer document’s statement to the contrary. 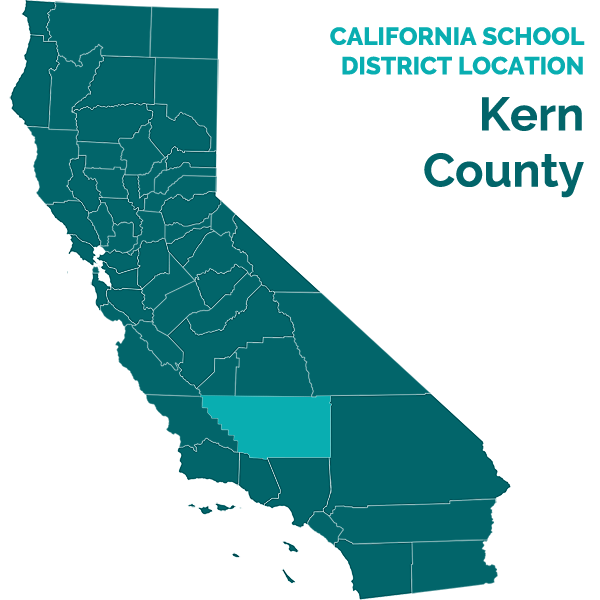 District dis-enrolled Student for the 2013-2014 school year because it was unaware Mother had moved back into the District’s boundaries, and District had not received a Transfer renewal request upon expiration of the 2012-2013 school year Transfer. 32. Mother informed District that she had moved back into District boundaries on August 16, 2013 at Rosedale’s “meet and greet” when she discovered that Student was not on any of Rosedale’s rosters. At that time, she asked District to re-enroll Student in Rosedale. District requested that Mother provide proof of residency which included two original utility bills before Student was allowed to be re-enrolled in the District. To combat fraud, District policy required all parents seeking to enroll students to provide unaltered original utility bills as proof of residency. Because Mother provided copies of utility bills where other information including the account numbers were blacked out, District did not initially accept copies of her utility bills as proof of residency even though her address showed that she lived within District’s boundaries. At the time, District did not have a space for Student at Rosedale because Student had been dis-enrolled. 33. In her August 18, 2013 letter to District, Mother requested “stay put” for Student to remain in Rosedale’s third grade with Ms. McNamara and for District to implement the services in Student’s IEP. Mother filed the August 18, 2013 letter with OAH as an exhibit to her due process filing. On August 19, 2013, the first day of the 2013-2014 school year, Ms. Camara informed Mother that if Mother agreed to waive stay put, District could accommodate and re-enroll Student in fourth grade at Rosedale. Mother waived stay put, which allowed Student to attend the fourth grade at Rosedale and receive services pursuant to the IEP. Also on the first day of school, District accepted Mother’s online utility bills accessed through her cell phone as proof of residency. Student was re-enrolled and only missed a few hours of school. 3Unless otherwise indicated, the legal citations in this Introduction are incorporated by reference into the analysis of each issue decided below. 5. In Issue One, Student contends that District violated its child find obligations starting in October of 2011 because District should have identified Student’s special needs when Student was failing to progress in the general education setting. District contends that Student progressed with District’s RTI, and, therefore, District acted reasonably in advancing Student to higher levels of RTI intervention and in waiting to see Student’s response to the top tier of intervention before assessing Student’s special education needs. 21. District’s child find obligation was triggered as of February 7, 2012, when Mother met with Ms. Hardy for a third time regarding Student’s poor academic performance. By February 7, 2012, District had the following information: 1) Student performed “well below average” in the District-wide, standardized AIMsweb test from August 2011 and Student improved little after six months of RTI reading instructions; 2) Student’s report card for the first two quarters of 2011-2012 school year confirmed that Student needed improvement, was not meeting grade level standards and scored poorly in class exams in both language arts and math; and 3) based on Ms. Monaco’s weekly data reports of reading intervention, Student progressed little in that area with minimal difference in the number of words reading correctly and the number of errors made from the beginning of the intervention to February 7, 2012. Student first received RTI in the form of the general education teacher’s increased assistance and accommodations in August 2011, then proceeded to the higher level of reading in a small group with Ms. Monaco in October 2011. By February 7, 2012, Student had already undergone two levels of RTI with limited success for six months in an attempt to ameliorate her academic deficiencies. At that point, Student’s consistent pattern of low performance and minimal response to RTI in basic reading skills, reading comprehension, mathematics calculation, and/or mathematics problem solving should have, at the very least, triggered a suspicion by the District that Student had an impairment affecting her educational performance which demanded an immediate assessment for special education eligibility. 22. However, District did not commence assessment on February 7, 2012. At least two more months passed before Ms. Hardy referred Student for formal data team consideration. Instead of meeting immediately upon Ms. Hardy’s formal referral to the data team on April 25, 2012 to evaluate Student’s needs, the data team waited another month to consider Student’s exceptional needs. District provided no evidence supporting why the data team did not meet immediately to address Student’s needs in April 2012, other than it was customary for the data team to meet three times a year to discuss all underperforming students, and it did not routinely meet to discuss any particular student individually. When the data team finally met on May 21, 2012, it decided to further delay assessment of Student’s eligibility for special education until fall 2012 because it wanted to “wait and see” how Student responded to further general education interventions before having her assessed. Although District is required to utilize the resources of its general education program, where appropriate, District should not have relied on “wait and see” to determine if Student responded to its interventions as a basis for delaying assessment. (See, OSEP Memorandum of State Directors of Special Education, supra, 56 IDELR 50.) District delayed assessing Student until after Mother requested a special education assessment on November 1, 2012, six months after the data team met to consider Student’s needs. 23. District did not offer any evidence that supported a finding that following a policy of waiting to assess Student until she completed the three tiers of RTI was appropriate or permissible under the IDEA. Although District’s witnesses offered conflicting testimony as to whether the District had such a policy, their testimony was neither persuasive nor relevant. Ms. Harding’s testimony supported a finding that District had knowledge that Student was struggling academically well before Mother formally requested assessments. The RTI model of eligibility required that Student made “sufficient progress to meet age appropriate or State approved grade level standards,” which Student had not done between August 2011 and February 7, 2012. By February 7, 2012, District was aware of Student’s minimal, but inadequate and inconsistent progress and had an obligation to assess Student regardless of whether Mother made a request. It did not do so, and therefore, Mother met her burden of proof that District procedurally violated the IDEA by failing to timely assess Student for eligibility under the IDEA. 24. In order to prevail, Student must also demonstrate that as a result of District’s failure to timely assess her, that Student was deprived of educational benefit, her right to a FAPE was impeded, or that it substantially interfered with parent’s ability to participate in the decision-making process. Student met her burden of proof on this element of her claim. Ms. Jameson’s February 8, 2013 report established that if District had timely assessed Student when it first had knowledge of her needs, she would have qualified for special education under SLD. Student’s report cards results, state test results, benchmark assessment scores, and interviews that District had access to in February 2012 were consistent with the same information Ms. Jameson had when evaluating Student in January 2013. When tested in January of 2013, Student’s cognitive standard and academic achievement scores were 100 and 80, respectively, a severe discrepancy when factoring the margin of error. Even with RTI, by mid-December 2012, Student’s low scores in reading fluency, writing, language arts, and reading level were consistent with her results in February 2012—still low and below grade level. Accordingly, Student met her burden by demonstrating that had Student been assessed in February of 2012, she would have been found eligible for special education supports and services that District did not provide until a year later. 25. Student did not present any persuasive evidence supporting that District neglected its child find responsibilities regarding her AT, OT, or S/L needs, or that had Student been assessed earlier, she would have required AT, OT, and S/L therapy. Student was evaluated for AT and OT in January 2013, but found not eligible for these services and Mother did not dispute the integrity of the AT and OT evaluations or present any evidence supporting why Student should have been found eligible for these services at any point in time beyond articulating a disagreement with District’s conclusion that Student did not qualify for those services. Further, Mother did not request any AT or OT independent evaluations. As to S/L therapy, Student did not offer any persuasive evidence to support her contention that District’s child find responsibilities should have been triggered in the area of speech before Ms. Tubb’s evaluation found her eligible for S/L services. For example, Ms. Hardy did not notice any apparent speech impediments or deficiencies in Student throughout the 2011-2012 school year. Mother did not request a S/L assessment until November 2012. Student did not meet her burden of establishing that Student’s performance in S/L should have triggered an evaluation prior to Mother’s request for S/L assessment as a part of a comprehensive evaluation in November 2012. 26. In conclusion, Student met her burden of demonstrating that District failed in its child find responsibilities as to eligibility as SLD from and after February 7, 2012. Student’s remedy is discussed in a separate section below. 27. In Issue Two, Student contends that District deprived Student of a FAPE when it failed to refer Student for special education assessment following Mother’s verbal request in October 2011. District contends that Mother never requested special education assessment for Student until November 1, 2012, at which time District promptly proceeded to assess Student. 28. Legal Conclusions 1 through 4, and 9 through 11 above, are incorporated by reference. 30. District’s employees were consistent and persuasive regarding their knowledge of procedures for special education referral. All of District’s witnesses credibly testified that, in general, if parents asked for special education testing, the person asked would assist parent in reducing the request in writing, and refer the request to the principal and/or the school psychologist. Ms. Hardy persuasively testified that if Mother had requested a special education assessment at any point during the 2011-2012 school year, Ms. Hardy would have referred the request directly to Ms. Camara. Ms. Hardy met with Mother on at least four occasions, twice at formal parent/teacher conferences in the fall of 2011 and the spring of 2012, and twice before each of those formal parent/teacher conferences. While Ms. Hardy recalled that she and Mother discussed extensively Student’s academic deficiencies, Ms. Hardy did not recall Mother ever expressly requesting that Student be assessed for special education. Mother was the only one who recalled verbally requesting an assessment in October of 2011. Given Mother’s multiple e-mail exchanges with Ms. Hardy throughout the 2011-2012 school year, it would have been a natural progression to follow-up with Ms. Hardy if Ms. Hardy had actually ignored Mother’s verbal assessment request. She offered no evidence that she did so. Therefore, Ms. Hardy’s testimony was more persuasive. Further, Ms. Camara testified that she also did not recall Mother requesting or having any discussion with Ms. Hardy regarding assessing Student for special education in the 2011-2012 school year. Her testimony corroborated Ms. Hardy’s testimony that, had Mother made such a verbal request, it would have been brought to Ms. Camara’s attention. Ms. McNamara persuasively testified that the November 1, 2012 written assessment request from Mother was the only one she received regarding Student. 31. Student did not meet her burden by the preponderance of evidence that District failed to refer Student for a special education assessment following Mother’s verbal request in October 2011, or any time before District received Mother’s November 1, 2012 written request for assessment. Student was not denied a FAPE on this ground. 32. In Issue Three, Student contends that District committed a procedural violation of the IDEA when it prevented Mother from participating meaningfully in the IEP decision making process since October 2011. Student contends District failed to timely provide a copy of the Parent Rights. District contends that it provided parent with the opportunity to meaningfully participate in the IEP decision making process when Student was first referred for special education assessment on November 1, 2012, and timely provided Mother with a copy of the Parent Rights on multiple occasions. 33. Legal Conclusions 1 through 4, and 9 through 11 above, are incorporated by reference. 37. As discussed in Issue One, District should have assessed Student in February of 2012, and had it done so, she would have been found eligible for special education months before the end of the 2011-2012 school year. However, before District ultimately found Student eligible for special education under the IDEA, District was not required under the IDEA to follow procedures that would have otherwise afforded Mother the right to meaningfully participate in the development of Student’s educational program. This included the District’s decision to implement RTI for Student and data team decisions regarding Student before she was found eligible for special education. Until Mother requested assessment for special education eligibility on November 1, 2012, District had no legal obligation under the IDEA to include Mother’s participation in determining the RTI services offered to Student. Even if, as Student contends, District violated its board policies regarding parental involvement in RTI decisions, such evidence was not considered by the ALJ in rendering this decision because IDEA only confers on parents a right to participate in decisions regarding special education, and confers no right of parental participation for RTI efforts prior to eligibility. Compliance with board policies is outside of OAH jurisdiction, which is limited to matters brought under the IDEA. 38. The evidence established that the District afforded Mother meaningful opportunity to participate in Student’s educational program from and after November 1, 2012. For example, as soon as Mother requested a special education assessment on November 1, 2012, District timely responded with an assessment plan on November 14, 2012. Mother participated in the IEP process from the beginning by indicating additional areas for assessment, including S/L, audiological, AT and psycho-educational, in Consent 1. District then added certain areas for assessment per Mother’s request and sent a second assessment plan to Mother on December 16, 2012. Mother added AT and psycho-educational assessments to the second assessment plan in Consent 2. District agreed to Mother’s request and evaluated Student in those two areas. Mother’s contention that District only “screened” Student for AT, instead of assessing Student, was not applicable to the issue of parental participation. First, District found that Student did not need AT services, and Student offered no evidence to the contrary. Thus, Student’s contention that District only “screened” and but did not “assess” was inconsequential. Second, parental participation only requires that District consider Mother’s input, and does not require that District agree with all of Mother’s requests. District considered Mother’s various requests for assessment observations such as provision of a two-way mirror, videotaping the assessment, and allowing Mother to be present at the assessment, but declined after providing Mother with reasonable explanations that were consistent with parental rights under the IDEA. District also accommodated Mother’s request to provide the assessors’ CVs to Mother, which was further evidence that Mother participated in the IEP process. 39. Mother further contends that she was denied her right to participate because District did not timely provide her with a copy of the Parent Rights booklet. The evidence established that District provided Mother with the Parent Rights booklet the first time it was legally required, during discussions of assessments following Mother’s request for assessment. Further, District persuasively established that it provided Mother with a copy of the Parent Rights on a number of occasions even though Mother believed she was not provided with same until the filing of the request for due process. The Parent Rights were listed as an enclosure in a number of District’s correspondence with Mother, and Mother initialed the February 14, 2013 IEP team meetings, and subsequent continuation of the IEP team meetings, that she had been provided a copy of same. Student’s contention that District’s failure to provide Parent Rights anytime before November 1, 2012 was a denial of her right to meaningfully participate, was not supported by the evidence. District was not obligated to provide Parent Rights until the IEP process began on November 1, 2012. 40. All necessary IEP team members were present at the February 14, 2013 IEP team meeting. District held a total of three IEP team meetings from February 2013 until April 2013. District addressed Mother’s concerns regarding goals, testing, communications, and additional OT assessment specifically evaluating Student’s ability to open containers. District also provided Mother with time to review the IEP documents by reconvening another IEP team meeting to address her additional concerns after reviewing same. District made modifications and adopted goals that Mother suggested. At each of the IEP team meetings, Mother came accompanied by family and friends, who also participated. The evidence established that Mother was afforded a voice in the IEP team’s decision-making process at all times. 41. Mother explained at hearing that she did not feel involved in the IEP team meetings because District did not attach her March 13, 2013 e-mail as an enclosure to the IEP documents; not all of the assessors contacted her before assessing Student; and District did not provide her with testing protocols or complete copies of reports before the February 14, 2013 IEP team meeting. Ms. Riel explained and the documents confirm that the substance of the March 13, 2013 e-mail was summarized in the notes of the April 18, 2013 IEP team meeting. Mother testified that some assessors contacted her in advance of assessing Student, but only two did not—the OT and S/L assessors. Although District did not provide complete reports to Mother before the February 14, 2013 IEP team meeting, District held two other IEP team meetings after the initial February 14, 2013 IEP team meeting so that Mother could review the assesments and IEP documents and ask questions. Further, Mother did not express any concerns over the validity of any of District’s assessments or Student’s eligibility criteria, rendering her contention that District failed to provide testing protocols inconsequential. While the District may not have acquiesced to Mother’s every request, the evidence supports that District accommodated many of Mother’s requests, addressed her concerns, and satisfied the IDEA’s definition of providing meaningful parental participation in the decision-making process after November 1, 2012, which was when it was first obligated to do so under IDEA. 5 Student contends that District procedurally violated the Education Code timelines for assessing Student and holding an IEP on February 14, 2013 as untimely when Mother requested them on November 1, 2012. First, this issue was not raised in the due process request and not properly before OAH. Second, even if it were properly before OAH, the evidence presented did not persuasively support that the 15 calendar days that District had to provide Mother an assessment plan and the 60 days that District had from the date it received the written consent for assessment and development of an IEP were actually violated given the number of amendments to consents for assessments that went back and forth between Mother and District, and proper accounting for winter break when school was not in session. Third, even if District had violated this procedure, no evidence supports a finding that Student was denied a substantive FAPE other than what had already been subsumed under the child find discussion and the remedy provided under that issue. 43. In Issue Four, Student contends that District denied Student a FAPE when it made a unilateral decision as to Student’s placement/dis-enrollment, without conducting an IEP team meeting or obtaining parental consent prior to the commencement of school year 2013-2014. District contends it properly placed Student in accordance with the IEP approved by Mother. 44. Legal Conclusions 1 through 4, 11, and 34 through 35 above, are incorporated by reference. 46. Here, Mother contends that the confusion over Student’s dis-enrollment at Rosedale was a unilateral change to Student’s IEP by District. However, the evidence supports District’s position that it was Mother not understanding that the inter-district permit was not annual, and District’s appropriate action of requiring a new proof of residence that caused any minor delay to Student’s re-enrollment at Rosedale. 47. Mother’s claim that District’s advancement of Student to the fourth grade and her dis-enrollment because of a failure of residency prove-up constituted a unilateral placement was unsubstantiated. The evidence overwhelmingly supports that District did not make a unilateral decision outside of the IEP team process, but conducted a total of three IEP team meetings and considered Student’s performance levels and tailored the goals and educational services to Mother’s satisfaction. Retention in the third grade was neither discussed, nor did Student offer any credible evidence supporting that retention was an issue at any of the three IEP team meetings. Mother signed the IEP on April 30, 2013 agreeing to implementation of the IEP from August 19, 2013 to February 14, 2014. In her August 18, 2013 stay put letter to District, Mother requested that Student be retained in Rosedale’s third grade with the same teacher after she found out on August 16, 2013 that Student had been dis-enrolled at Rosedale as a last ditch effort to keep Student enrolled in District and at Rosedale, in particular, as opposed to another school in the District. Placement and decisions regarding special education services were all made at the IEP team meetings well prior to the dis-enrollment mix-up. 48. No evidence supported Student’s contention that District’s late enrollment of Student for the 2013-2014 school year caused a deprivation of educational benefits. The evidence established that Student was enrolled in Rosedale a few hours after the rest of the students. The late enrollment resulted from confusion caused by Mother, and not by any unilateral action by District to change Student’s IEP. Specifically, Student was enrolled in the previous school year under a discretionary inter-district transfer permit. District did not receive a renewal request for the transfer for the 2013-2014 school year. Until August 16, 2013, District had no information that Mother had moved back within District’s boundaries. Therefore, District dis-enrolled Student. 49. When Mother advised District she moved back into District’s boundaries, District reasonably requested that she provide proof of residency, consistent with District policy. The evidence established that District re-enrolled Student within a few hours of the start of school on the first day of the 2013-2014 school year. Although Mother and Student were upset by the delayed enrollment, a delay of a few hours was not the result of any unilateral change to the IEP by District, and was therefore not a denial of FAPE to Student. Although Mother was displeased by the manner and level of information requested by District, and felt that District discriminated against her by requesting information which Mother did not observe District requesting of other parents, such issues are not within OAH’s jurisdiction and not considered by the ALJ in rendering this decision. 50. Student did not meet her burden of persuasion by the preponderance of evidence that District committed a procedural violation of making a unilateral decision regarding Student’s placement without an IEP team meeting or parental consent at the commencement of the 2013-2014 school year. 51. Student prevailed on Issue One regarding child find. As a remedy, Student requests compensatory education to compensate for the services Student would have had if District timely identified Student’s special needs. District disagrees, and contends that Student is not entitled to compensatory education because it timely provided Student with RTI services and waited to see how Student responded to RTI before assessing her for special education eligibility. Further, District contends that it timely assessed Student per Mother’s request on November 1, 2012 and provided Student with the appropriate services under an IEP. District also contends that Student did not present evidence to substantiate an award of compensatory education. 54. Student requested compensatory education, in the form of tutoring services in reading, math, and S/L, but did not request a specific amount. Based on the current IEP, Student was placed in general education classes for all subjects except for reading. The evidence only supports that Student’s special education needs in reading should be compensated because reading was the only area where District’s child find obligations should have been triggered before the November 2012 assessment process commenced. Had District been diligent with its child find obligations to Student, it would have commenced the assessment process on February 7, 2012, approximately six months after trying District’s reading RTI without much success. Taking into account the 15 days each for District to provide an assessment plan to parent and for obtaining parental consent to District’s assessment plan, and another 60 days after receiving parental consent for assessment to complete assessments and develop an initial IEP, District would have completed assessment identifying Student’s SLD eligibility and held an IEP team meeting by May 14, 2012. 55. Because District was dilatory in its child find obligations, Student’s IEP was not held until February 14, 2013, nine months after May 14, 2012. Deducting approximately two and half months for summer because the evidence did not support that Student qualified for extended school year services, and a half month for winter break, during which time Student would not have received any special education services, leaves a total of six months that Student was deprived of special education services because District failed in its child find responsibilities. 56. The current IEP provided Student with 90 minutes per day of SAI in reading, which is seven and a half hours weekly. District personnel agreed that Student can benefit from intensive small group intervention. Intensive one-to-one tutoring in reading allows Student to may make up the time she lost because District failed in its child find responsibilities with respect to Student’s SLD. 57. Based on the above, three hours per week of one-to-one reading tutoring is reasonable in conjunction with the current services Student is receiving under the IEP. Three hours per week multiplied by the six months of services Student should have received yields a total of 72 hours. The amount awarded correlates to approximately half of the seven and a half hours of small group services Student should have received weekly had District timely met its child find obligations with respect to Student’s SLD. Because one-to-one tutoring is more intensive, the amount awarded is approximately half of the seven and a half hours per week of small group services which Student receives under the IEP. No evidence was provided regarding appropriate providers. However, in order to afford parent the flexibility to use the compensatory hours at times when school is not in session, use of a non-public agency (NPA) to provide the services is reasonable. In recognition of parent choice and flexibility in using the hours, District will not be responsible for the cost of transporting Student to access the compensatory hours. This block of 72 hours of reading tutoring by a NPA will expire if not used by January 31, 2015, or when Student is no longer a resident of District and no longer enrolled in a District school. 1. Within 15 days of the date of this decision, Student shall communicate to District the name of the NPA Student has chosen for the reading tutoring services. Within 30 days of receiving Student’s preference, District shall contract with the NPA of Student’s choice to provide 72 hours of one-to-one reading tutoring services that can be used even during times when school is not in session. 2. Any compensatory education time awarded by this Decision must be used by January 31, 2015, or it will be forfeited. In addition, District’s obligation to provide compensatory education under this Decision will end if Student is no longer a resident of District and no longer enrolled in a District school. Pursuant to California Education Code section 56507, subdivision (d), the hearing decision must indicate the extent to which each party has prevailed on each issue heard and decided. Here, Student was the prevailing party on Issue One. District prevailed on Issues Two, Three, and Four.